After a 24-year career in the fire service, Eric Fessenden has a memory bank of the grisly calls he answered. He’s pulled bloated bodies out of rivers, treated victims of the D.C.-area Beltway Sniper attacks, and extracted the dead and the mangled from car wrecks. 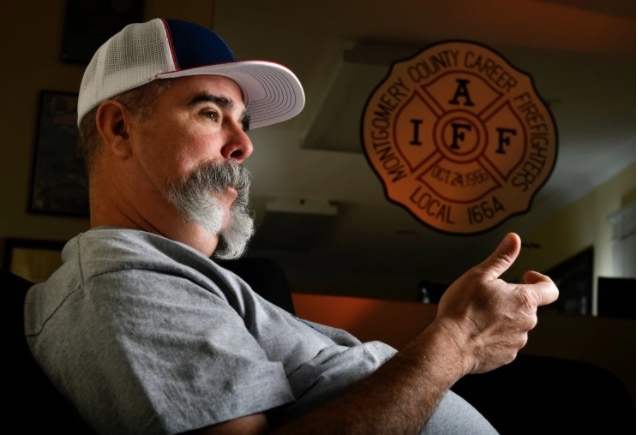 Staying busy at work allowed the Montgomery County firefighter to put aside the emotional burdens of his job, but after an injury forced him to retire, he often found himself inexplicably anxious and angry. He woke up shaking in the middle of the night soaked in sweat. And the hikes he looked forward to each week with family members would end miserably when he inevitably snapped at them during the outings. Fessenden, 48, thought that he suffered from post-traumatic stress. It wasn’t until recently he learned it was that — and more. First responders witness trauma not only from everyday events such as car crashes and house fires, said Patrick Morrison, assistant general president for health, safety and medicine of the International Association of Fire ­Fighters. They’re also answering extraordinarily difficult mass-casualty calls, such as the Mandalay Bay shooting that killed 58 in Las Vegas, the Ghost Ship warehouse fire that killed 36 in Oakland, Calif., and devastating natural disasters such as Hurricanes Harvey, Irma and Maria.